A few days ago, there were festivities in Dalal Street that the Nifty had finally crossed the level of 11,000. Sonia Shenoy announced the historic moment in her typical succinct style. According to experts in technical analysis, the 11,000 mark is a significant barrier and crossing it signals that the Nifty will now effortlessly coast in an upward trajectory. However, Surabhi Upadhyay, who also meticulously tracks the markets, sounded the caution that there is no justification for cheer because the broader market is bleeding profusely. She pointed out that nearly 40% of the Nifty stocks have lost up to 20% since the beginning of the year. This analysis is corroborated by other knowledgeable persons. It is also notable that several worthies like DHFL, Dish TV, Reliance Power, Reliance Communication, Infibeam, Srei Infra have lost massive chunks of their valuation and contributed to the poverty of investors. According to Nupur Acharya of ET, only a handful of stocks, including RIL and Infosys and TCS, have driven the gains. She quoted Dharmesh Kant of Indianivesh to say that the market is behaving in a “bipolar” manner. “The uncertainty around elections, concerns regarding leveraged companies and possible debt defaults is dragging down the broader market,” Dharmesh Kant said. It is no secret that we are interested in the performance of only two funds, which is of Porinju Veliyath and Basant Maheshwari. This is because the two stalwarts regularly feed us with multibagger stock tips and keep us in good humor. 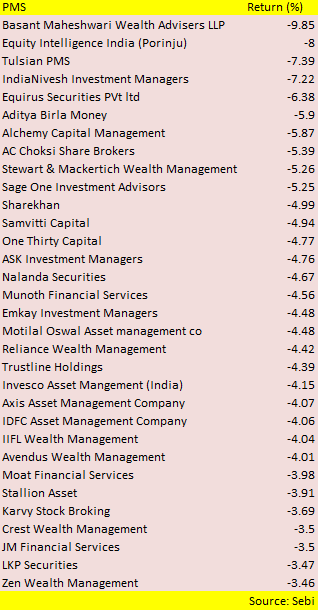 According to the latest research conducted by the sleuths of Bloomberg, Basant Maheshwari’s PMS Fund lost 9.8% in January 2019 while Porinju Veliyath’s PMS Fund lost only 8%. In fact, Porinju outperformed two other PMS Funds named ‘Care Portfolio Managers‘ and ‘Aequitas Investment Consultancy‘. It is notable that Porinju manages an AUM of Rs. 1109 crore while Basant has only Rs. 177 crore in his kitty. However, while Porinju has seen his AUM shrink from Rs. 1246 crore (in October 2018), Basant’s AUM has remained steady. Amongst the larger PMS funds, Quantum Advisors put up a stellar show with an AUM of Rs. 14,193 crore and a loss of only 2.2%. ENAM, Motilal Oswal and ASK also impressed with AUMs in excess of Rs. 12,000 crore and a loss of only about 3-5%. A PMS Fund known as Anvil Wealth Management, with an AUM of 541 crore, was the only one to post a positive return of 3.2% during the tumultuous period. A similar analysis of the performance of the PMS funds has been conducted by the sleuths of ET. Excess concentration by Basant caused the heavy loss? Now, we have the onerous duty of trying to understand why Basant has underperformed his distinguished peers. In fact, in an earlier interaction with one of his followers, Basant had revealed that his Fund is up 13.27% YTD and has a since inception CAGR (post fee weighted avg AUM) of 23.34%. You are an ill-informed idiot to be making irresponsible comments. So just shut up. Because you’re in a hole doesn’t mean everyone else is. We’re up 13.27% YTD & have a since inception CAGR (post fee weighted avg AUM) of 23.34%. However, this appears to have changed now. Prima facie, we can pin the blame on D-Mart alias Avenue Supermart. Basant has revealed that D-Mart is his top holding across portfolios. Unfortunately, D-Mart reported so-so Q3FY19 results and this resulted in a sell-off given its alleged exorbitant valuations. To justify the PE Ratio of 80+ that #AvenueSupermart trades at it needs to grow earnings by 40% plus for the next 10 years. In an earlier interview, Basant has made it clear that if high P/E stocks stop delivering on growth, he will not hesitate to put them on the Guillotine. “The moment we see that the growth has started to slip, we will come out of it and buy something better maybe,” he said. 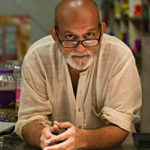 Whether D-Mart will find itself on the Guillotine or not has to be seen. Basant also appears to have been disappointed by Bajaj Finance and PNB Housing. 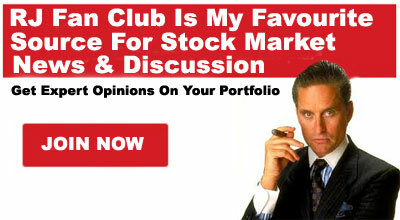 He has revealed that he has aggressively bought both stocks “up to the neck“. However, the ongoing liquidity crises and fear of NPAs as regards realty loans (LAPs), has caused both stocks to stay sluggish. Basant candidly admitted that even he is perturbed by the savage crash in stock prices. However, he advised that we have to be an ‘optimist‘ and stay in the game because one never knows when the tide will turn. Thank you. We also get perturbed with falling prices but have learnt that the best way to remain in the game is by being an optimist. It’s sad but normal. We all lose money in the market. Staying in the market is more important than being there. Sometimes you might need to ask yourself ‘Did I lose because this market isn’t a good place to be in or was it because I didn’t know how to play the game’ ? Basant also advised us to give up our obsession for “multibaggers” and instead to focus on “compounders“. 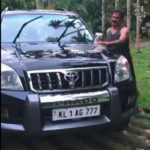 It may be recalled that Porinju has recently addressed a letter to his clients in which he candidly admitted that he has been outwitted by the alleged “Chor” promoters of LEEL. 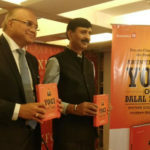 He described LEEL as a “costly misjudgement” which has resulted in “permanent loss of capital” of nearly 80% of the investment (see Chor Promoter Did Fraud & Caused Massive Loss: Porinju Veliyath Fumes & Vows To Bring Them To Book). 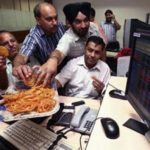 In the wake of Porinju’s bitter experience with the alleged chor promoters, some fund managers have laid down strict pre-conditions before such stocks can be touched. ‘Chor bane mor’ is an exceptions based strategy. Should never be the norm. And there are absolute certain pre-conditions 1. Business has strong cash flows, 2. Yours and promoters interests are aligned. One should never bet on someone’s integrity changing. The valuations have to be so compelling that it is worth our while to dabble with the chors. There are valuations and there are valuations. Imagine getting 50% of spirits and beer market at 200crs. Prima facie, it is advisable for novices like us to keep a safe distance from the chors because if they can outwit stalwarts like Porinju, they will probably eat us alive. 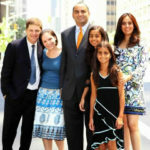 Will Porinju’s “Billion Dollar Co” change fortunes for his clients? I pointed out earlier that Porinju Veliyath has recommended a stock which is said to at “Inflection Point” and has the potential to become a “Billion Dollar Co”. The premise of the recommendation is that India is getting into a point of per capita income $3000 maybe in the next three to four years’ time. 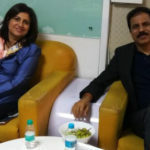 Porinju opined that a “huge explosive growth in the discretionary spending” is on the way which will catapult his recommendation into the big league. If that happens, Porinju’s beleaguered clients will be laughing on their way to the Bank and all losses will become a distant memory! porinju has invested only in rotten stock like LEEL, HCL INFOSYSTEM, GVK POWER , ASHAPURA, EMKAY FINANCIAL ETC. not even a single company is in profit rather each stock has lost from 50% to 80% from their investement price. now he is not posting his last performance since inception. i have a gut feeling that he must have under performed nifty and sensex by a great margin. If they want to promote second one,they say he scores only 2 marks less..
Media loves porinju and his portfolio full of chor companies.Their main purpose is to entertain themselves and us…let the drama continue. Moral of the story – do not take the Korinjus and Torinjus for granted. They too are humans and make mistakes. In a bull market these guys are heroes. In a collapsing market its the opposite.